As an International Corporate Event Photographer, I get to shoot in some very nice venues. 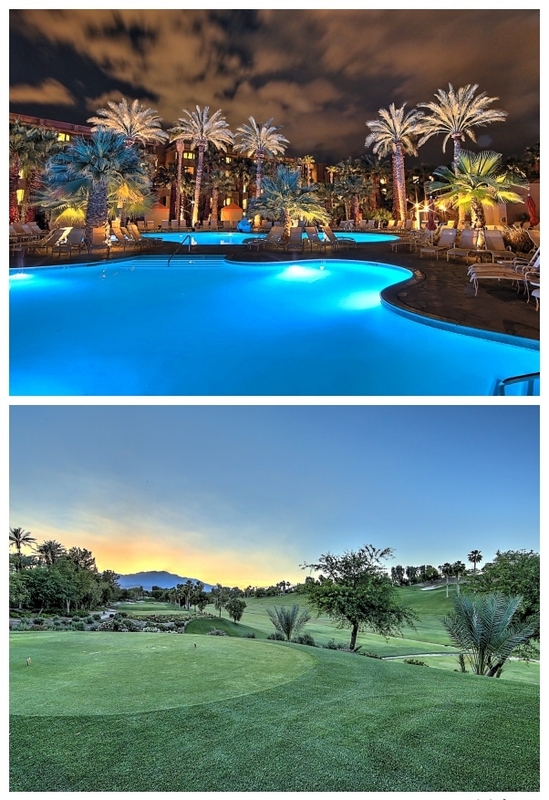 The images above are from the Indian Wells / Palm Dessert area of California where I spent 5 days covering a conference. Although I did not have a chance to get in the gorgeous pool or play on the beautiful golf course, I did manage to take some extra pictures of more than the conference. Seeing the images above helps remind me of how fortunate I am to be able to see places like this as part of what I do for a living. Although it is not a vacation, it's still nice to be able to go to places like this courtesy of the client and be able to photograph people in and around these types of settings. My guess is that many travel photographers may not be able to spend as much time enjoying what they photograph as they do photographing it. But it's still awesome to get paid to do what you love whether there is a lot of down time to actually enjoy it or not. Whether you are photographing a family at the local park or happen to be fortunate enough to travel around the country or the world in with your photography career, be sure to take some time to capture some images for yourself beyond the subject matter that you are photographing. In other words, take time to smell the roses.